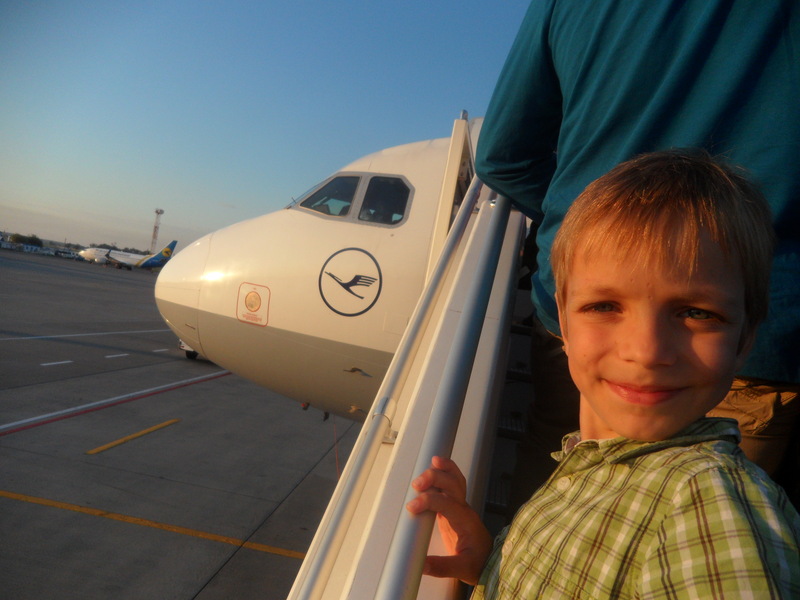 In looking at the pictures that Kristin had, I thought that her pictures of Ian traveling to America where the most telling. You have to wonder when you look at them, what is going through Ian’s mind. Ian excited about helping out with the luggage. What is going on in his thoughts??? 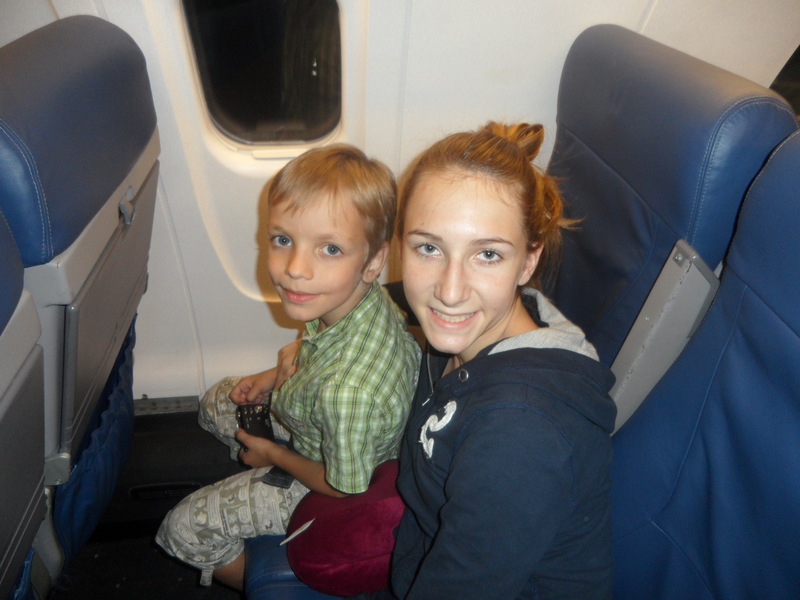 Ian and Sissy on the plane – almost there! 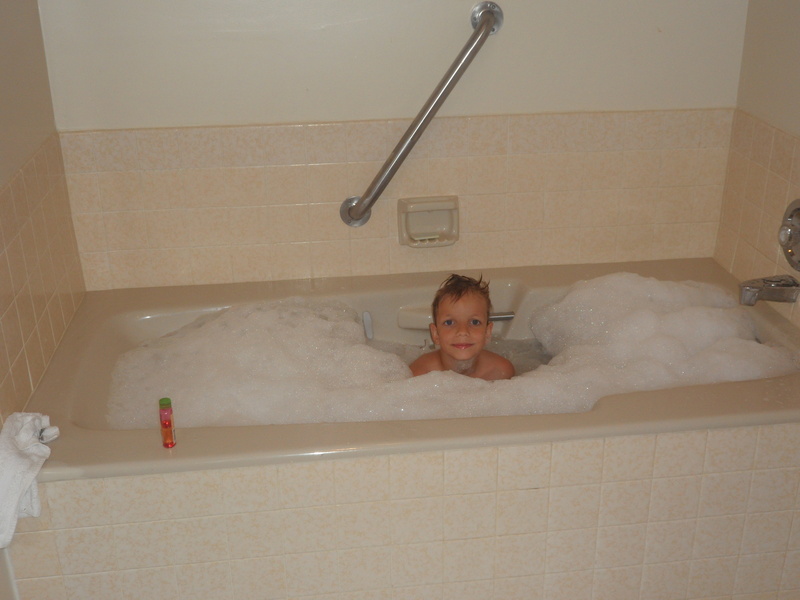 Ian taking a bath in America! 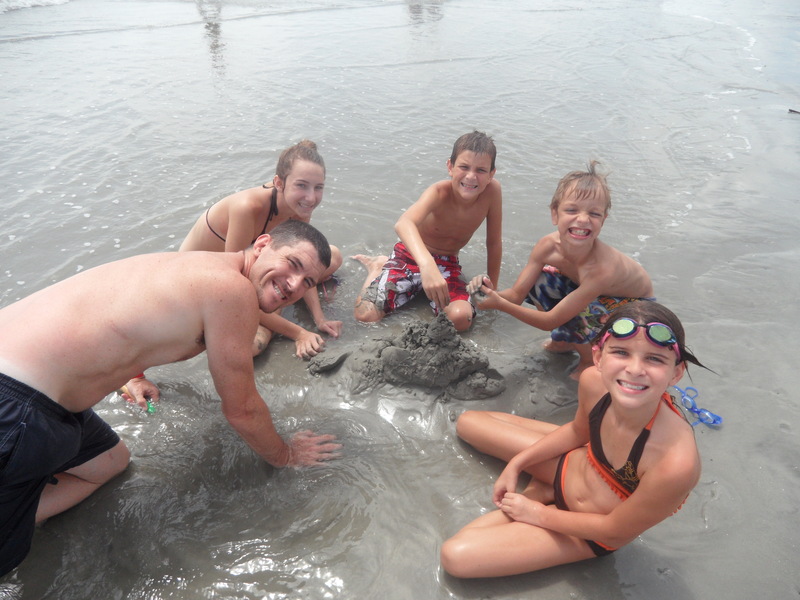 Dad, Olivia, Ayden, Ian and Annalise on the beach at HHI. 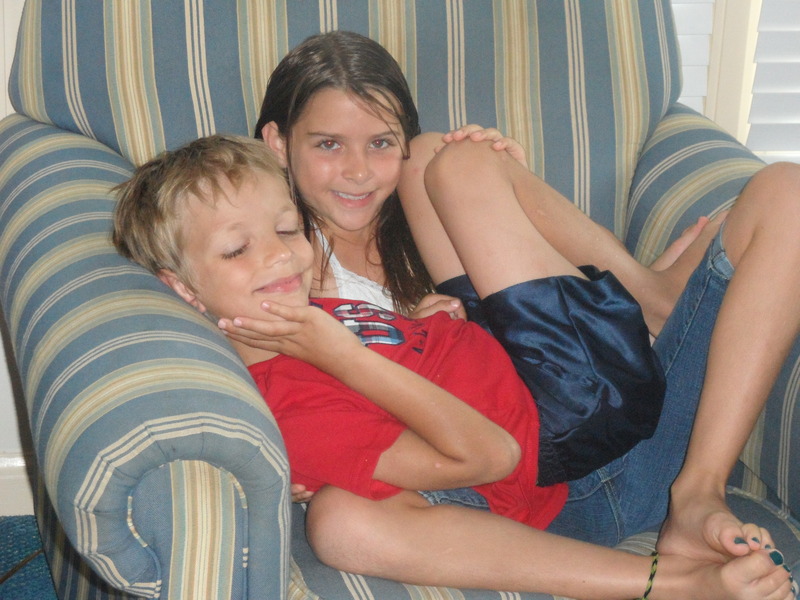 Thank you for sharing your journey to Ian…I have been following from the beginning and I have been so deeply moved. These photos made me weep with joy for your family, especially little Ian. God Bless You! Would you mind sharing the name of the boy who was friends with Ian – you captured him in a few photos when visiting Ian the first few days (I think). Something about him touched my heart deeply and I want to be able to pray for him by name. Thank you. Thanks Allison. I just sent you an e-mail. He was Ian’s best friend. We were able to skype with the center yesterday and they were able to see each other. He is a sweet boy that needs prayers for his life. I appreciate that you have followed the Spirit in this leading to pray for him. Oh, to understand and know what was going through his mind all throughout this journey, but especially on the way home…. 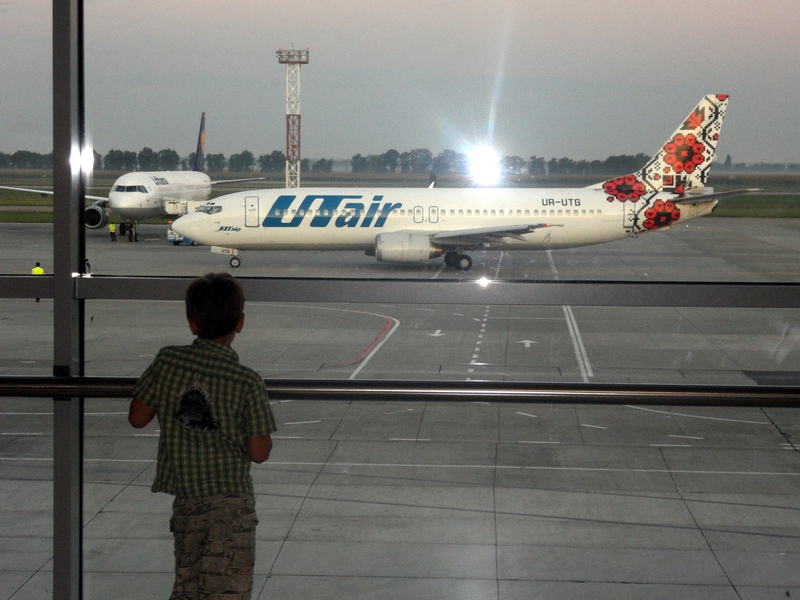 HOME…. and as he spent his first few days by his entire family’s side. That photo of him by the window… speaks a million words, but oh so silently…. Precious!! So glad you all had a vacation before Irene came for a visit! He looks so happy! Praying for your family as you continue to get to know each other! God Bless! I love the pic of him looking out the window, I’m sure there were a million thoughts running through his mind . 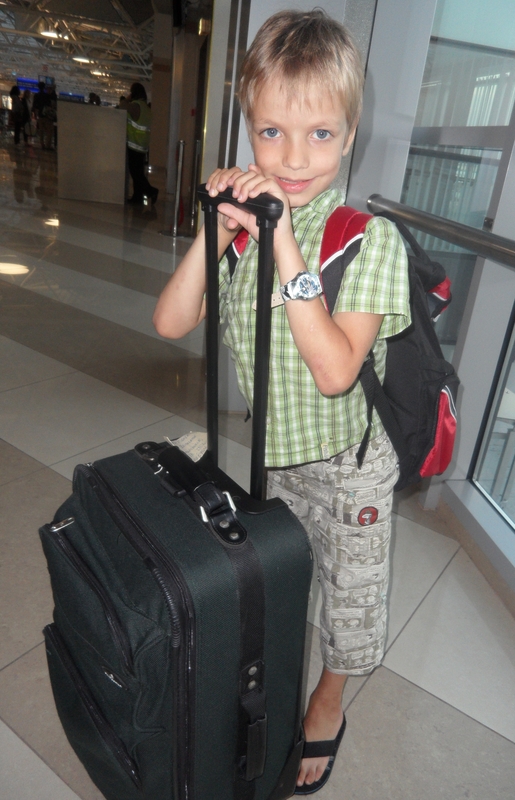 . . leaving the country of his birth to go to his HOME!!! Truly amazing! He looks happy..Continue to pray for you and your family.Warm Blessings! 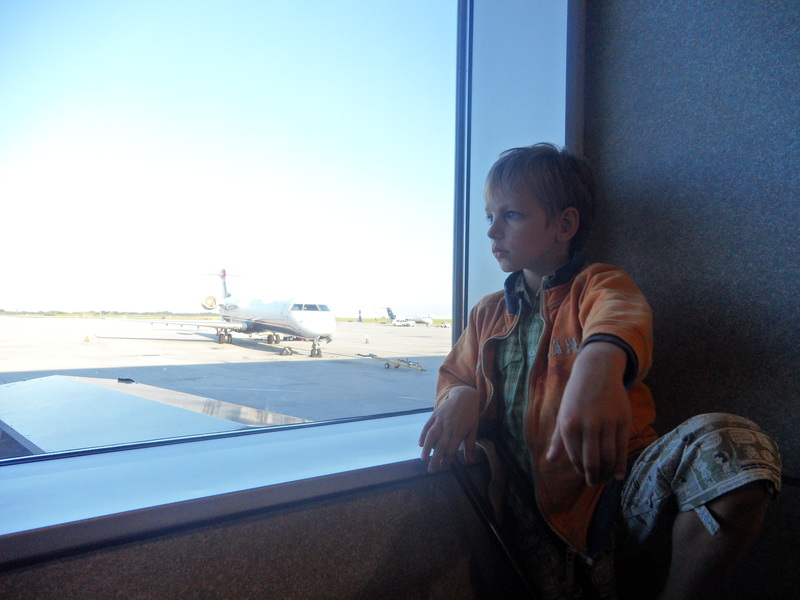 He looks so pensive, staring out the window at the airplanes. Oh to know the thoughts that were racing through his head at that time! 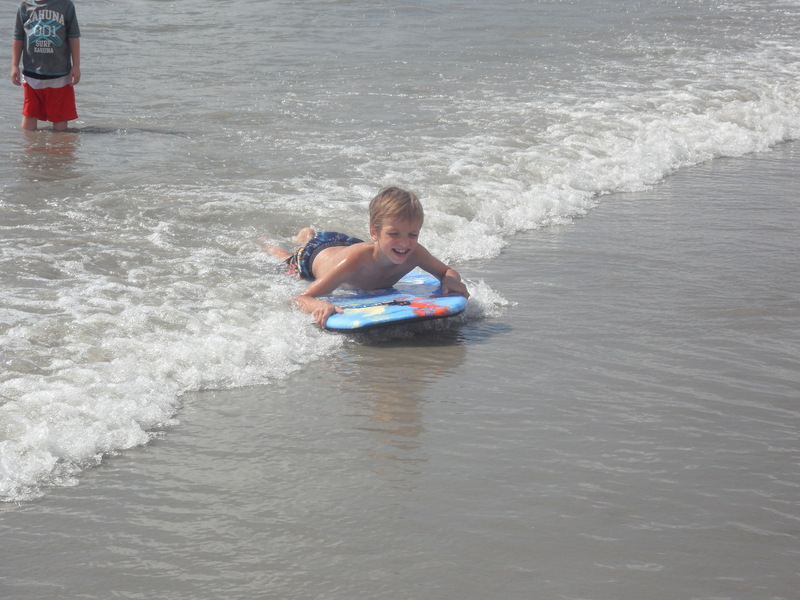 And then the picture of him in the surf on his boogie board! What happiness! He just looks like he belongs. Such beautiful pictures. I hope everyone adjusts well, and quickly. Thanks for sharing Ian’s homecoming. Your testimony is so inspiring! I hope and pray you keep sharing about your journey w/sweet Ian! You have no idea what an impact your story has on a stranger such as myself! Sending Much Love from a prayer warrior from Jacksonville, FL! Just wonderful to see pictures of the family together finally and on this side of the pond. Extending my thoughts and keeping all of you in my prayers for continued health and happiness as you settle in at home. Best to all of you for a wonderful holiday weekend. Oh – and THANKS SO MUCH for keeping the updates coming. So inspired by you all. I have been praying for all of you!